We have so many apples right now!! It's the year of the apple, the apple moon, the apple village, or something along those lines! 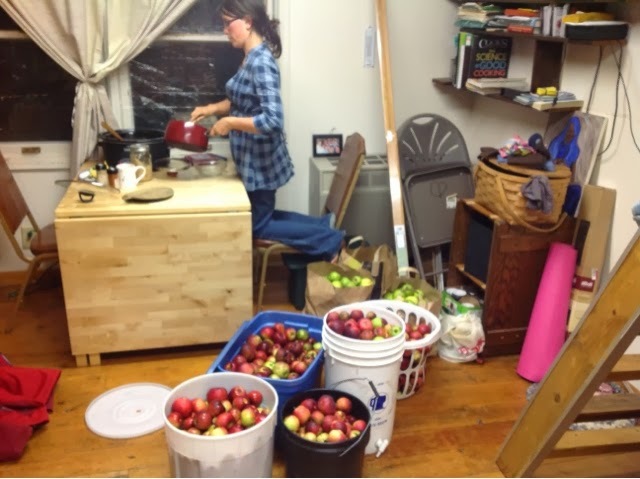 We got 1.5 bushels for $7 on Craigslist, 2 bushels from some new friends, and then probably 2 to 3 more bushels from a friend who let us use his cider press and apple orchard (that is in addition to 10 gallons of fresh cider we took home. 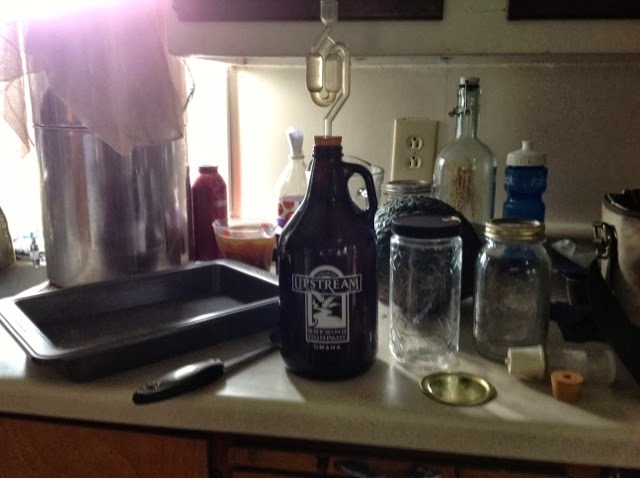 We have given away 3.5 gallons to friends and family and will probably freeze the rest of it. We are grateful of all the generosity we have been shown these last few weeks. So many apples! Here are some pics of the bounty and our preservation efforts. Check out all the apples. We did apple sauce in the crockpot... We will be stepping up our game by using Catherine's Nesco next time! 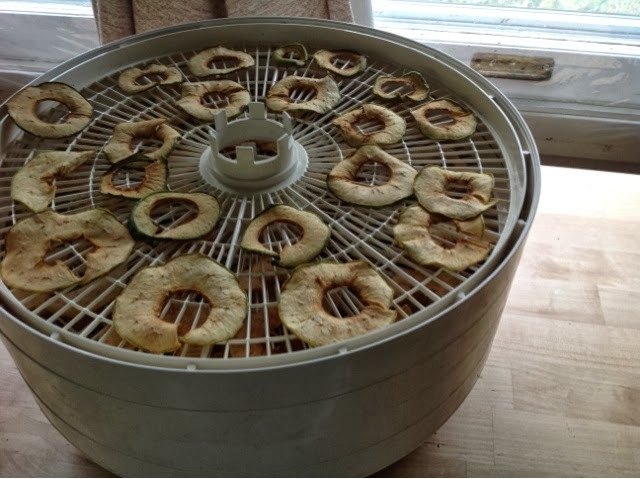 4 trays in the dehydrator. Half peeled and half not. We will see which win the taste test. If it is close, we will do peels-on in the future because it is easier. 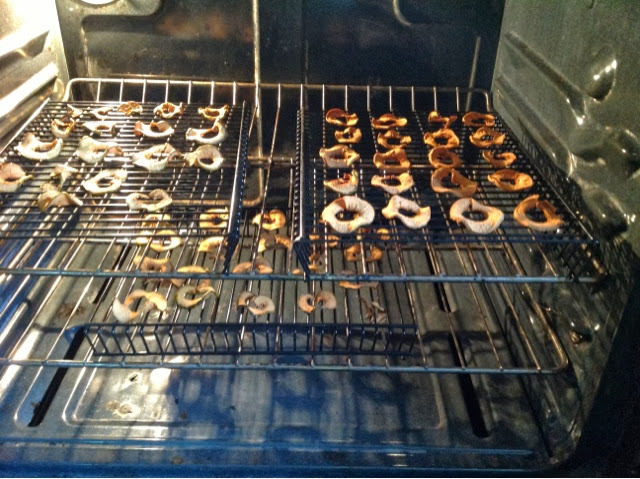 This batch started off in the sun oven, but then it got cloudy. The regular oven is faster anyway. 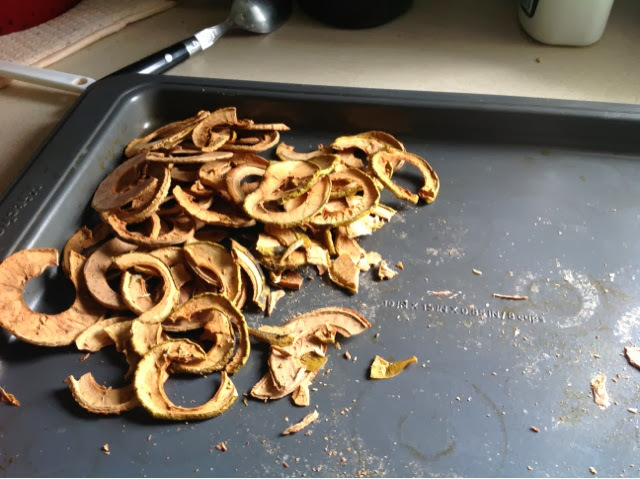 This batch was done exclusively in the regular oven. It is the fastest method by far. 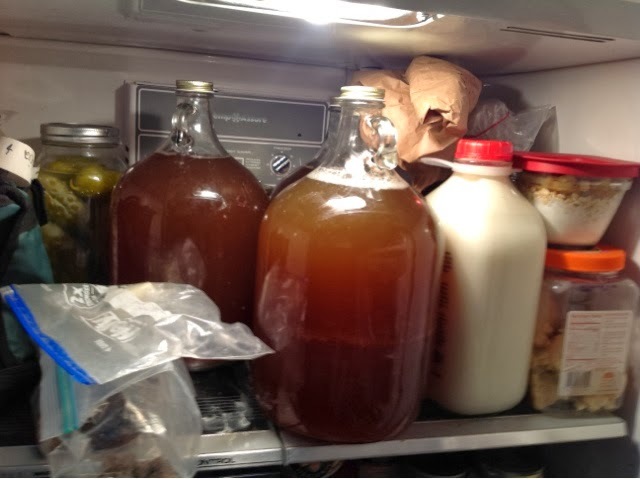 Some of the cider crowding up the fridge. Hehe. Neal is experimenting with inoculating the cider with lactobacillus. We are hoping for vinegar based on Greg's recommendations.